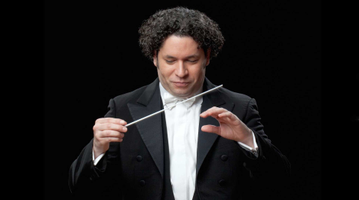 Gustavo Dudamel, one of today’s most charismatic conductors, will conduct two concerts at the Palau de la Música Catalana, on 18 and 19 September, to open the 2018-19 season of Palau 100. Leading the Mahler Chamber Orchestra, he will be offering two programmes dedicated to the great masters of Romanticism and Post-Romanticism, including Franz Schubert, Johannes Brahms and Gustav Mahler. Opening Palau 100 is a real gift for our audience. 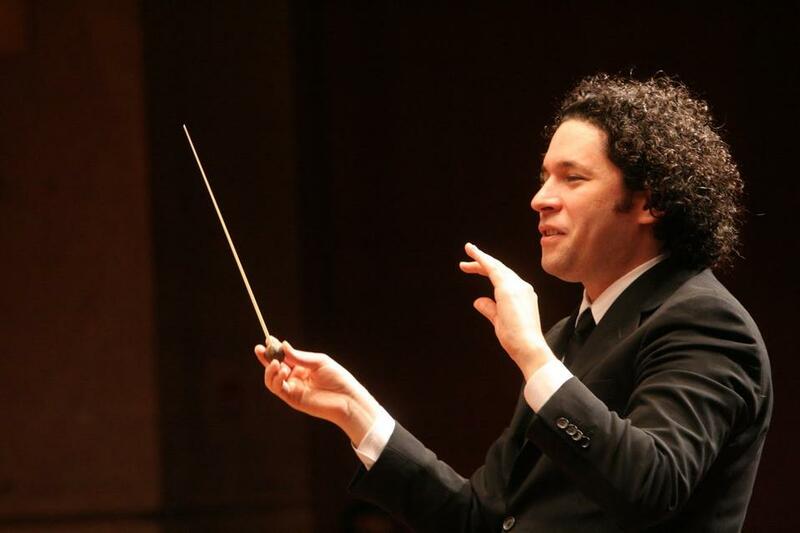 What’s special about the symphonies you’ll be conducting? My relationship with the Mahler Chamber Orchestra goes back to 2007; I met them in the context of their residency in Caracas with Claudio Abbado. It was a very special time because the orchestra spent the New Year period in Caracas, they did concerts and we had some amazing experiences. After this residency, the whole orchestra went to Cuba and I went with them. We held various concerts during the first days of 2005, and I didn’t see them again until 2017, when we met at a festival in France. They have a particular style to play as chamber musicians, but they work as an orchestra, they all inspire each other, and they inspire me as well! As for the symphonic works in the programme, it’s a bit like the relationship I have with the Mahler Chamber Orchestra, since it’s based on inspirations: from Schubert and Brahms to Mahler, etc. Last year you conducted the complete Beethoven symphony cycles at the Palau over five consecutive concerts, an extraordinary project that featured the Orfeó Català and the Palau’s Cor de Cambra chamber choir in the Ninth Symphony. What are your memories from this experience, which was one of a kind in our country? You can’t imagine what a significant residency that visit in 2017 was, both for me personally as well as for the orchestra. That tour was the last one I did with the Simón Bolívar Symphony Orchestra before three later tours that same year were cancelled by the Venezuelan government. It had unnecessary and terrible result: suppressing the arts at a time when our country needs the positive symbol of the El Sistema music-education programme more than ever. Our memories of the residency, the friendliness of the people in the hall, the musical intensity and professionalism of the Orfeó, in addition to the generosity of the audience, will stay with us forever. 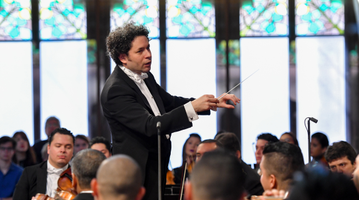 You’ll also close Palau 100, in June, conducting the Münchner Philharmoniker, the Orfeó Català and the Palau’s Cor de Cambra with Mahler’s Resurrection Symphony. How would you describe the work with the Palau’s choirs? Part of the reason behind choosing Mahler’s Resurrection was the possibility of working with the Orfeó Català again and working with the Artistic Direction; we think this work will also be a wonderful end to the season. It continues to be one of my favourite pieces to conduct. A regular conductor and favourite of Barcelona’s audiences, what would you highlight about the Palau and our city? For the Palau, absolutely everything: the building, the programming, the team. It’s a model project. As for Barcelona, I love walking along Las Ramblas to hear the rhythm of the city, entering and visiting La Boqueria market with its aromas, colours and flavours; enjoying the huge array of cuisine on offer in Barcelona and Catalonia in general, and going on outings to see an exhibition at the Picasso Museum, the Miró Foundation or the National Museum of Art of Catalonia, with its impressive Romanesque paintings. It’s wonderful!